I bet you’re thinking, kale chips? Isn’t that like, so 2014? Not in my house it isn’t! 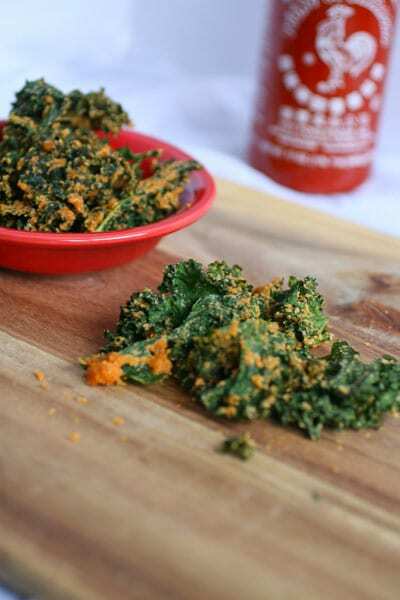 Nope, we’re all about crispy, spicy kale chips in my house- especially these Chili Cheese Sriracha Kale Chips ? By now almost everyone has seen a recipe or twelve for homemade kale chips. 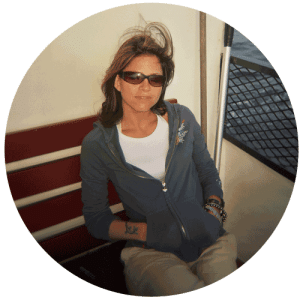 I’ve posted a few kale chip recipes here on Your Daily Vegan alone. Kale chips are crunchy goodness and highly addicting- you really can’t eat just one. It used to be that there were only a handful of companies who made prepackaged kale chips and you’d only find them at farmer’s markets or health food stores. But these days you can find them pretty easily at any mainstream grocer. Personally, I don’t care for prepackaged kale chips. First, they’re usually expensive and don’t really fit into my tight budget. But also, they are usually very dry and crumbly- like kale dust. That’s not to say there aren’t good brands out there- there is a company in Lakewood, Ohio that makes a stellar kale chip. But no matter how good the kale chip is, I still don’t like to pay the $$$ price for them. Not when I can whip out my dehydrator and make some for way less. 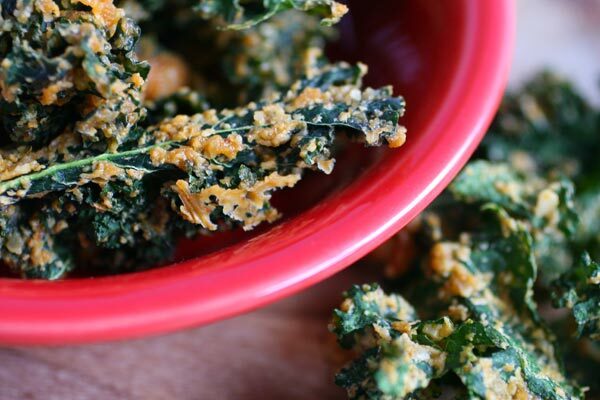 The deliciousness of this particular kale chip recipe is a result of one of my favorite flavor combinations- tahini and Sriracha. I can put it on almost anything and I do. Sweet potatoes? Yup. Avocado toast? Oh yeah. Tofu? Mmhmm. Tempeh? Most definitely. It makes anything taste 100 times better so I thought it would make a kickass topping for kale chips. I was right. The tahini adds a layer of flavor to the cheese topping and the Sriracha gives it a nice heat kick. I also used some chili powder, smoky paprika, and pink salt because, why not?Why not indeed. 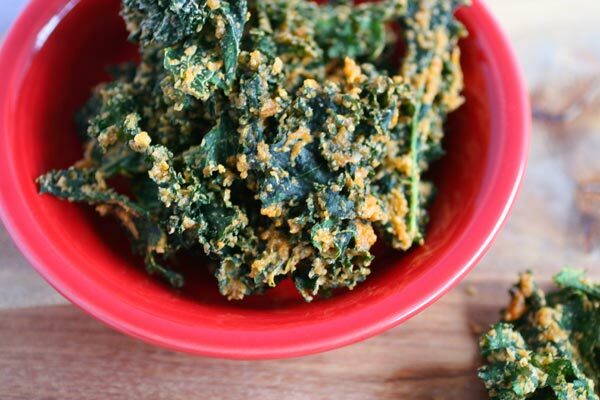 These kale chips are mostly raw and gluten-free, and a healthy alternative to potato chips. They didn’t last a day in my house before they were eaten up. I doubt they’d last long in your house as well. If you make them be sure to let me know what you think. As for myself, I think I should make another batch today. 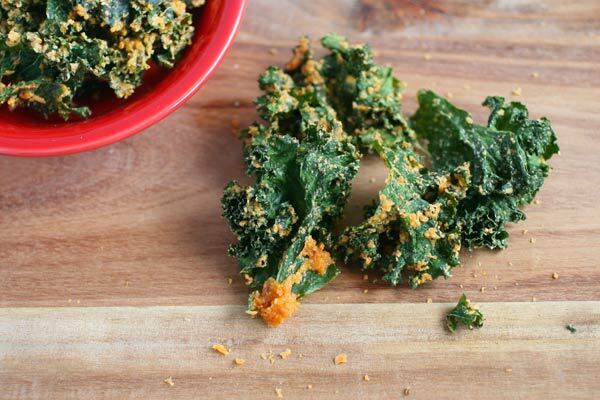 A cheesy and spicy spin on the traditional kale chip. Place cashews into bowl and cover with water. Soak for a minimum of 15 minutes. This recipe uses a dehydrator and a food processor or high speed blender. If you don't have a dehydrator, you can use a baking sheet and your oven set at a very low temperature. Check often as an oven will cook the kale much quicker than a dehydrator. Oh I love the sriracha chili kale chips “Made in nature” brand!!!! about what temp would you say to set the oven?